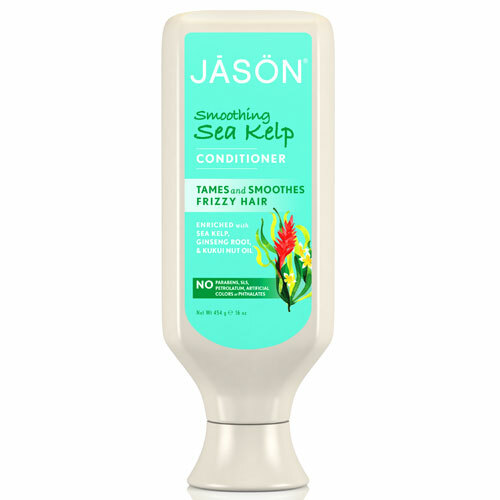 Jason`s pure, natural smooth Sea Kelp Conditioner tames frizz, with every wash.
Natural Sea Kelp, rich in vitamins, minerals and essential fatty acids, weightlessly rehydrates dry strands. Ginseng root and plumeria acutifolia calm frizz and control fly-aways without leaving a heavy residue. For shine and manageability, Jason add Kukui Nut Oil to block out humidity and smooth the hair texture. Sleek and refined, your hair looks silky smooth all day. Safe for colour-treated hair. After shampooing, work lightly through hair, paying special attention to the ends. Rinse thoroughly. 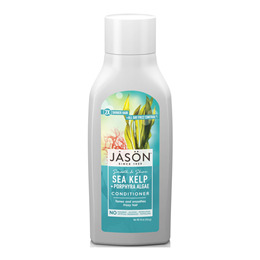 For best results, shampoo with Jason Smoothing Sea Kelp Shampoo. Below are reviews of Jason Smoothing Sea Kelp Conditioner - 454g by bodykind customers. If you have tried this product we'd love to hear what you think so please leave a review.